About 50% of Americans drink coffee every day, but far fewer Americans know that regular coffee drinking has substantial health benefits. According to several studies published over the past two years, coffee has an effect on your heart, your brain, your bones, and your risks of diseases over the lifetime. Despite the benefits, the potential drawbacks from coffee’s caffeine content are worth considering. Know thyself, as they say, and drink carefully. A German study (Bakuradze et al., 2014) found that four weeks of regular coffee consumption increased feelings of satiety after eating. This and the subjects’ loss of body fat suggests that coffee might help with weight loss or chronic overeating. The same study found that drinking coffee tended to protect DNA from harmful mutations that could lead to cancer (Bakuradze et al, 2014). And an updated study supports the notion of coffee protecting DNA integrity. (Bakuradze et al, 2015). A broad review article found that regular coffee consumption reduced the risk of diabetes mellitus, hypertension, obesity, and depression (O’Keefe et al., 2013). The same article reports that coffee either has no effect or a positive effect on cardiovascular health. O’Keefe et al. 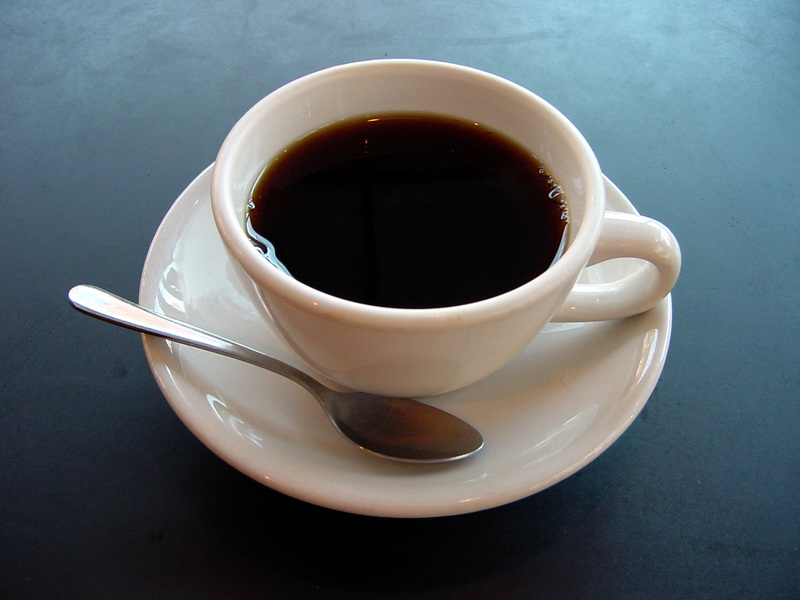 (2013) also found that coffee reduced the risk of neurodegenerative disease. A Brazilian study found that drinking coffee in very low doses reduced hepatic fibrosis in adults with Hepatitis C (Machado et al., 2013). In one meta-analysis (analysis of many studies already published), regular coffee consumption decreased the risk of fractures by almost 25% in men (Lee et al., 2014). A study of Spanish adults found that regular coffee consumption had no significant adverse effects on health-related quality of life (Lopez-Garcia et al., 2013). An older study found that regular coffee consumption had no effect on long term risk of coronary heart disease specifically (Wu et al., 2009). Coffee, like most naturally occurring mixtures, is not just water, caffeine, and coffee molecules. Well, in some sense it is, but “coffee molecules” consist of countless and diverse chemicals, from methylxanthines to diterpine alcohols to chlorogenic acids to antioxidants, all of which combine to give coffee its complex effect. The effect we all know is the mental effect of increased alertness and decreased feelings of sleepiness. see from the scientific findings that I noted above. Living longer with less disease is nothing to complain about. However, I want to remind you that every food, coffee included, has complex and far-reaching consequences for the body and for the rest of the lifestyle. Drinking coffee, for instance, might wake you up in the morning, but it can also keep you from sleeping at night. A poor sleep schedule leads to more fatigue, and more fatigue makes that second (or third, or fourth) cup of coffee smell awfully delicious, and pretty soon you’re a wreck every morning unless you drink five cups of coffee. This is not only excessive but expensive, depending on your source. People who drink coffee daily need to know their limits. Too often in New York I see people more high-strung and stressed out than I ever thought possible, and then I see a quivering cup of coffee in their hand and think, “Hm.” Coffee affects your entire body, but most importantly it affects your brain. And by this point in your life you have come to terms with the fact that you’re not invincible. All this is to say, be aware of the benefits of coffee, but also remember that adding caffeine to your diet changes your wake-sleep patterns, your feelings of tiredness, and your appetite. You can live a happy, healthy life with or without coffee. I value your independent thinking, so I won’t give you a prescription for Starbucks. But I will say this: consider the place of coffee in your lifestyle. Nutritional science tells us that adding any substance to your diet has numerous effects on your body chemistry. Coffee contains caffeine, which tends to create a chemical dependency, so drink carefully. Know your own mind; avoid coffee if you’re prone to anxiety or panic attacks. Limit caffeine after noon to avoid insomnia. Also, counterbalance coffee consumption with a good amount of water. Caffeine is a diuretic, which means it will make you eliminate fluids more frequently. With so many benefits, it’s worth a shot. What are your thoughts about naturally decaffeinated coffee which contains only a small percentage of caffeine compared with regular coffee? Strong solvents used to decaffenate coffee are used that have been linked with rheumatoid arthritis. In nature coffee beans are caffeinated. I suspect the solvents used to make decaffenated coffee can be harmful and thus I do not recommend. I do recommend organic regular coffee for only those folks who can tolerate caffeine well – there are many who can’t. Dr Geo, Good article, but re your reply above, does naturally decaffeinated coffee carry the risks you point out? Great article on Coffee Dr. Geo! I love my one cup in the morning however it’s very important that our coffee is Organic! Coffee is one of the top crops in the world that uses a high amount of fungesides and pesticides to grow the coffee beans, combine that with roasters not cleaning their machines properly which can lead to mold and mycotoxins regular coffee may actually be harmful, especially since coffee is generally made with close to boiling water which further releases the chemicals still in the coffee. I prefer Bullet Proof coffee check it out online very clean and nice flavor I also feel better drinking this specific brand because of the process they go the extra yards to clean their roasters. Lastly Coffee depletes our Magnesium stores so be sure to supplement with extra Mg. Perhaps the L- Threonate form which can help brain function and lessen the excititory effect that too much caffeine can cause. Make having your AM coffee a ritual buy a French press and purchase a quality organic coffee you’ll be happy you did! Excellent points all around, Walter. Thank you for your comment. But I can’t find the first citation on PubMed. Where did you get it from? This is good news indeed. My Integrative MD. told me several years ago that drinking coffee is not good if you possibly have prostate cancer as it might cause the cancer to grow more aggressively. Is this true? At the time my PSA was 7.0 and I have since driven it down to 5.2 in 7 months. I’d love to be able to drink coffee again for all the benefits. I drove down my PSA by adding to my BPH supplemental routine 15 drops of nettle root extract 3 times a day. Do you have any other suggestions for driving down PSA levels and shrinking the prostate glance beyond the typical prostate formulations? Disclosure: I developed both formula’s. Thanks for your comment and questions, Ed. Are heavy pesticides/etc generally used growing coffee? If yes, I assume we should select organic coffee – correct? Coffee beans are one of the most sprayed items in the world. Organic coffee is by far preferred when available. Thank you for the nice article on coffee, and for pointing out the anxiety aspect. I have known about this going back to my college days when I sat studying late at night drinking coffee only to be awakened with a panic attack later. I don’t drink coffee to this day, but don’t have a problem with a cup of hot tea. Thanks, Mark, for your comment and recommendations. We will work on a bladder health blog soon. Hi Sandy, coffee seems to actually help some people with migraines – but 3 to 4 cups maybe too much for you. Try two cups a day and see what happens. My recommendations are individualized since everyone’s coffee tolerance is different. I drink 1 to 2 cups a day. Then mostly green tea. Next Post: Pomegranate: the Superfruit!